Do you want to exponentially increase your sales? The very first thing that you need to know is that copying someone’s random strategy from around the globe will most probably not work for you. The second thing that you need to know is every website is different in some or other way. 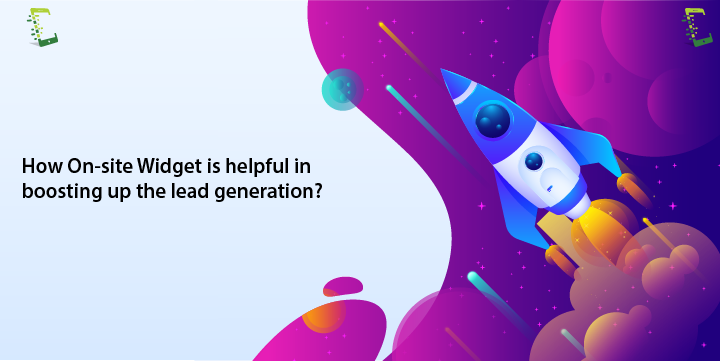 In any case, you need to go hand in hand with the latest technologies being used to generate more leads, and one of them that we are going to discuss in this article is On-site Widgets which will definitely boost up your sales by getting you more leads. 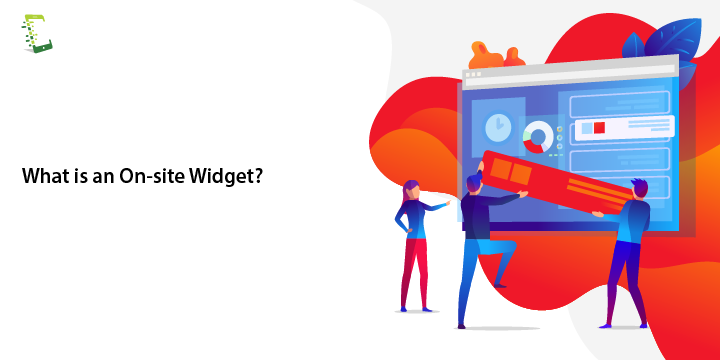 Before we move further to the core of this article and discuss how On-site widgets can help us in getting more and more leads, below is the brief description of the On-site widget. Technically, a widget is an independent computer application that can be easily embedded into any page or pages of a third party website. The only conditions are that the user should have enough rights to carry out the task and the e-commerce website, blog, or any kind of web page should technically support widget. You must have seen them on multiple websites, they don’t take much space. They just carry out simple tasks and are very user-friendly. Widgets are largely being used for showcasing a huge variety of dynamic as well as static content. It could be some advertisement related to the content of your website, weather condition, time, live match scores, product checkout, live chat support, and there are many other forms. Not every first-time visitors on your website is there to make an instant purchase of the products or the services you offer. There are many things like high priced products, not a user-friendly interface and complicated payment procedure which may stop them from making the purchase. Or apparently, they didn’t come with an intention of making any purchase. You just can’t simply ignore them, the customers who didn’t make the purchase due to the issue they faced on your website and the visitors who were not intentionally there to make any purchase are the potential lead that you are missing out. You need to engage them while they are running over your website. Do not expect them to come to you for help, as they have so many options for the same product or services you are offering. You need to interact with them and offer help or information just when they are making a buying decision, and this is the place where the On-site Widget will act as a benefactor by becoming the medium of interaction. Widgets actually give you an opportunity to connect with the prospects, understand their requirements and finally transform them into a legit buyer. Exit Intent Widgets:- There are probable chances that you can convert a leaving visitor into a lead. Sounds unbelievable to you? But, it is possible. Exit intent widgets give you an otherwise impossible chance to convert your leaving visitor into a legit buyer. If your company policies allow, you can try converting a leaving visitor into a customer by offering him some freebies or a product trial of certain days using the exit intent widgets. You may also want to collect phone number of the potential prospects so that you can follow up via call. Side Lead Form Widget:- It is very irritating to present advertisements or a widget to a user for whom the website has just loaded. You can use side lead form widget which will provide the user with an interface after the user has spent a certain amount of pre-decided time on your website by asking his contact details or asking if the prospect is facing any issue or needs any assistance. Bar-On Scroll Widget:- Bars widgets are commonly used for collecting quality leads. A user is presented with a bar, only after he or she has scrolled around 65–75% (it depends on you) of the web page. A bar could be a form to collect user details or redirection links to important pages. Subscription Widgets:- Every small to big website wants to boost the number of subscribers. More the number of subscribers more will be the target audience to whom they can email attractive offers. Subscription widgets help you in gaining more subscribers. Video Widgets:- If you are running a website that has a good number of videos on it, you can use a video widget. When the prospect pauses or finishes seeing the videos, they are presented a lead form by the video widget based on the type of video they were watching. Floating Testimonials Widget:- Testimonials always help us in establishing trustworthiness in prospect’s mind. Floating testimonial widgets give you an idea of different customer testimonials on distinct pages at a different time. These floating testimonials widgets are more effective when compared to the immobile ones. Announcements Widgets:- You can make use of announcements widgets to attract visitors by showing them new deals, new products, discount coupons, promo codes, and latest offers. Call Widget:- This type of widget is basically designed for mobile phones. When any visitor taps on this widget(intentionally or unintentionally), the website’s contact number is automatically transferred to the dialer screen from where the visitor can make a call, leaving you with an opportunity to convert the callers into a lead by a more personalized human interaction. In this article, we walked through the journey of a mere visitor, from how they land on our website, how they start liking or disliking our products as well as look and feel of the website, what it takes to make them purchase our product. We understood how different types of widgets plays a great role in converting a visitor into a legit buyer. We also got to know that it is always better to go hand in hand with the new technologies. 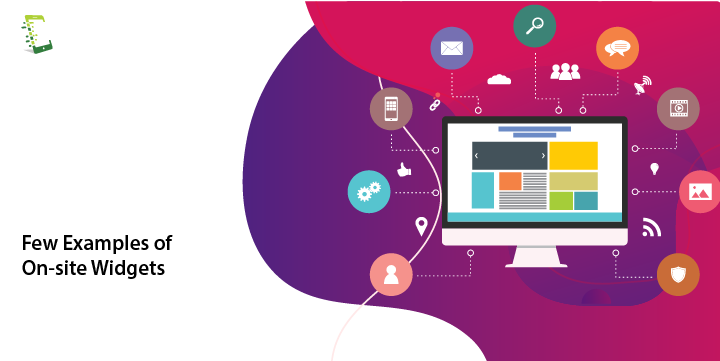 Stay tuned with this blog, we will keep updating the new types of technologies that you may use to generate more and more leads in this fast-changing digital world. Should you have any queries related to On-site widgets and lead generation. Write to us in the comments section below. Get started with the best onsite widget.